Unenlagia dinosaurs, illustration. 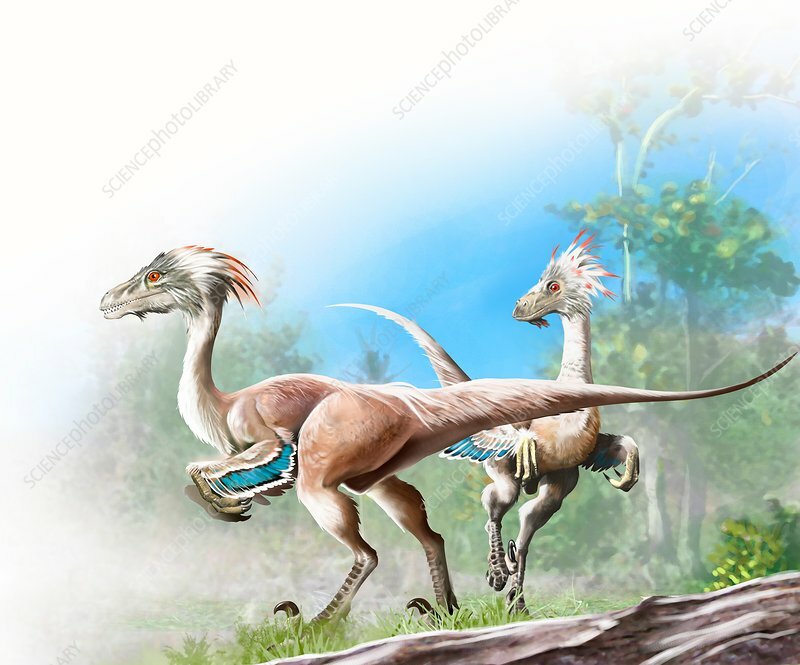 Unenlagia (meaning 'half-bird') was a theropod dinosaur that lived during the Late Cretaceous period around 90 million years ago, in what is now Argentina. It was around 3 metres in length from head to tail.